Memorial: Dawlish Memorial Inscription BURCH W.H. A.B. R.N. William Henry Burch joined the Royal Navy as a Boy Seaman on 23rd March 1914, aged 16 ½ and started a 12 year term on 30th August 1915, his 18th birthday. After training he was sent to H.M.S.BRITANNIA on 9th January 1915 and made up to Able Seaman on 16th March 1916. 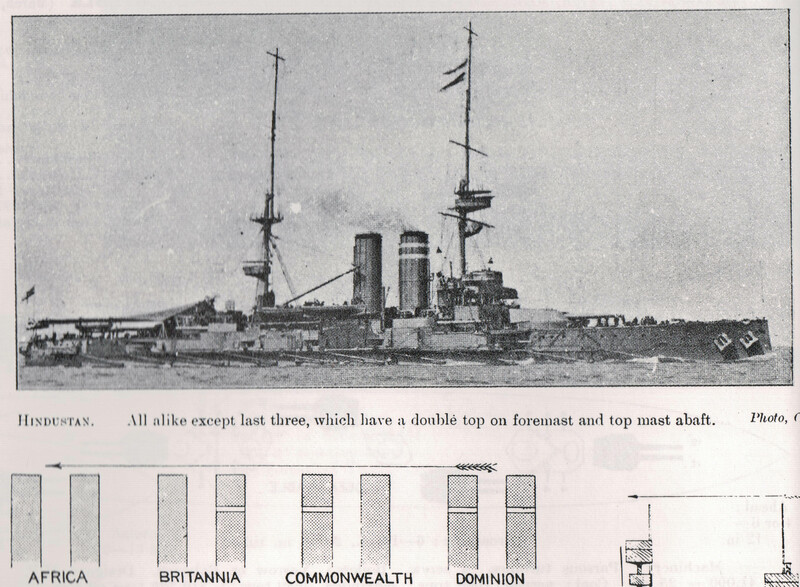 Between September and November, 1918, BRITANNIA was moved to "Miscellaneous Service", though she remained in commission. She was torpedoed and sunk on 9 November 1918 off Cape Trafalgar by the German U-boat UB-50, becoming the last Royal Navy ship lost in the war. Only 40 lost their lives in the explosion and most of the crew were saved, the ship taking 3 hours to sink. William Henry Burch was one of those who lost their life. William Henry Burch was a first cousin of Arthur Charles Burch who was also a Dawlish casualty, killed in action on 17 February 1917. Their common grandfather was William Burch, a gardener born in Lympstone on Christmas Eve, 1825. He was a son of Thomas and Sarah Burch. William married Anna Maria Garrish (1831- ) of Chagford in Jan-Mar 1853 and the census of 1911 records that they had 11 children, of which 3 had died. (a family profile appears in Documents, below). William and Anna were living at Manor Place, Dawlish (1861) and 16 Park Row (1871) and in 1891 were living at Rose Cottage, 13 High Street, where William was a gardener. Four of their children were living with them. Henry Garrish Burch (1867 -1928) was a house painter. On May 23 1897 Henry Garrish Burch married Emily Baker (born Blackheath, London, 1863-1944), and they had four children, Harry, William Henry, Gladys and Leonora. In 1911 Henry and Emily's family was living at No 1 Court, High Street, Dawlish with their four children, Emily Baker, 20, from her mother’s first marriage, and a step-grandson, Reginald Baker, 6 months old. William Henry Burch was working as a gardener when he was 13 but appears as a labourer in a mineral water works on his joining the Navy.